march11 scallywag3 s"Team Sun Hung Kai/Scallywag's team owner, SH Lee, is very excited to be racing his 100ft' Super Maxi with his team in Antigua for the first time in the upcoming 2019 Antigua Bermuda Race," commented Scallywag skipper Dave Witt (AUS). 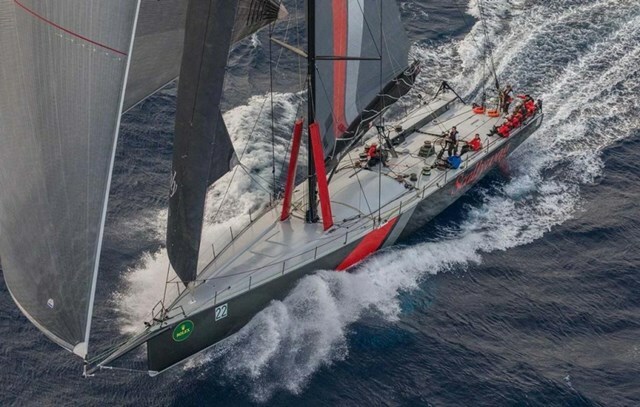 The 100ft canting keel Scallywag (ex-Ragamuffin) is very capable of breaking the Antigua Bermuda Race record which was set by Stephen Murray, Jr. (USA) racing Volvo 70 Warrior last year (2 days, 18 hours, 32 minutes and 48 seconds). The Antigua Bermuda Race is part of the Atlantic Ocean Race Series and is equally weighted with the RORC Caribbean 600, Rolex Fastnet Race, and Rolex Middle Sea Race. Scallywag will be picking up valuable points prior to the start of the main event for the series, the Transatlantic Race, starting June 25, 2019.